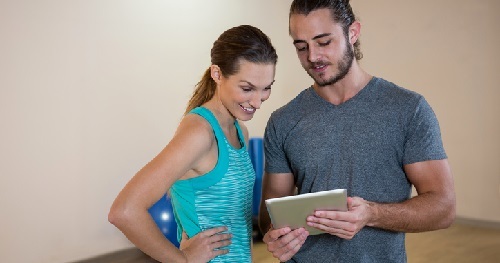 For years, the fitness industry has operated personal training as a face-to-face activity where personal trainers offer their guidance and expertise to clients in person, and while this tried and true method has its clear benefits, it can pose a challenge to fitness professionals looking to do more with their time and scale their businesses. With only so many hours in a day, a 100% in-person business model places limits on the number of clients a trainer can work with, and, as a result, limits on how much money a trainer can make. Online personal training has shattered those restrictions by allowing fitness professionals to take their businesses online and offer personal training to an unlimited number of clients through mobile technology. Through e-commerce, digital marketing, and mobile technology, fitness professionals have more opportunities than ever to build successful and profitable businesses and to impact the lives of more people while enjoying more freedom than ever. Join Tiffani Bassi for this one hour informative podcast and learn about online personal training and how fitness professionals can start an online business that is scalable and profitable. By the end of this podcast, you will gain insight into the benefits of online personal training and how online platforms can empower fitness professionals to offer online training services and grow their businesses. A BCRPA and FMS Levels 1&2 certified personal trainer since 2014, Tiffani Bassi enjoys working with all levels of clients, from beginners to professional athletes. Three years into her career, looking to make an even bigger impact, she was drawn to working in the fitness technology industry. Tiffani’s passion for movement and empowering others is what led her to join the team at Trainerize where she could help thousands of other trainers help their own clients discover a healthy lifestyle and find success in their health and fitness journeys. A former INFOFIT graduate herself, Tiffani hopes to inspire students and new trainers to follow their passions and build rewarding careers.